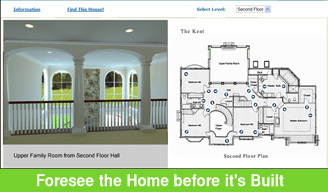 Responsive, Works on all mobile devices, tablets and PCs. Memory. Selected options that change the footprint are shown on all levels affected by that option. Selected options are remembered during the session. Dynamic Options Menu. Available options change as different options are selected. 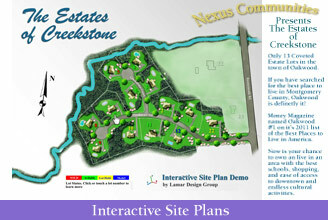 Plans reverse with the click or touch of a button, maintaining all selected options. 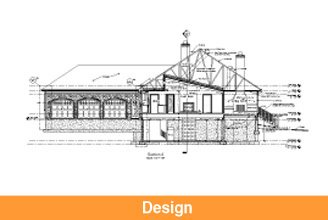 Elevations reverse when the floorplan is reversed. Database driven. PHP and ASP versions available. Host on your server or ours. Easily updated by us or by your personnel. 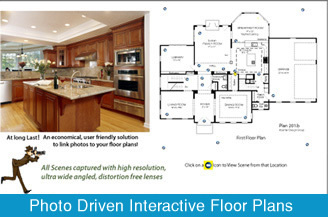 Photo overlay links photos to floor plans. Dynamic pricing updates. Pricing can be used for internal use only. Three ways to purchase this program. Purchase a license to use the Software to host on your company's servers. 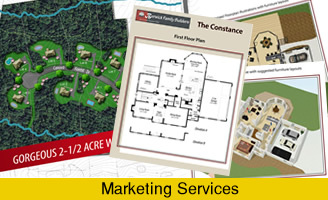 We will train your personnel to create and maintain your Interactive Floor Plans. We work on all Devices! 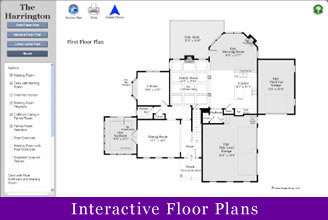 Our Interactive Floor Plan Programs are not ™Flash based. ™Flash is not supported on iPad or iPhone. Your consumer will get a blank screen or no interactivity. The tablet computer, led by the iPad, is increasingly becoming the device of choice for consumers browsing the web. 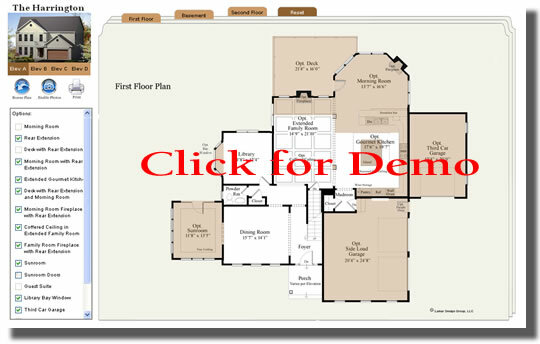 Maximize your ROI and insure your market pnenetration is not compromised by investing in Interactive Floor Plan and Site Plan programs by Lamar Design Group.